• Directors of „Ted Sieger’s Molly Monster -­‐ The Movie“, „Cafard“ and „Long Way North“, among the nominees. • Over 750 sector professionals will select the winners in the French city of Lyon on 4th March. • New opus of nWave „Robinson Crusoe“ chosen to open CARTOON MOVIE 2016.
contribution to the development of European animation over the last year. Divided into three categories – Director, Distributor and Producer of the Year – this year’s Cartoon Tributes bring together the best of the latest European animated features as well as some of the continent’s most active companies within the industry. Over 750 professionals attending Cartoon Movie will be in charge of selecting the winners who will be announced in Lyon, France on 4th March. 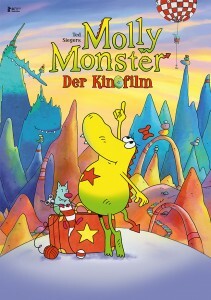 Michael Ekblad, Ted Sieger & Matthias Bruhn (Germany) are nominated in the category „European Director of the Year“ for the film „Ted Sieger’s Molly Monster – The Movie“ that opened latest Kinderfilmfestival at Berlinale 2016 and that will be presented as completed film at Cartoon Movie. Jan Bultheel (Belgium) is nominated for his first long feature „Cafard“ who brightly uses motion capture like his new project in concept „Canaan“ (Cartoon Movie 2016). The third nominee is Rémi Chayé (France) for „Long Way North“ (Audience Award, Annecy 2015 – France & Young Public Award, Anima 2016 – Brussels) released in January 2016 in France. This year, Rémi Chayé will present „A Childhood of Martha JaneCanary“ which refers to the historical character of Calamity Jane. Film, responsible for the launch of „Little Dragon Coconut“, „Raven the Little Rascal -­‐ The Big Race“, „Ponyo on the Cliff by the Sea“, „Persepolis“, „The Painting“, „Freddy Frogface“, „Marco Macaco“. BIR Film also represents all of Studio Ghibli titles in Turkey. The company will compete with SF Film, a Danish distribution company buying mainly for theatrical release and DVD. During 2014, the company distributed European films: „Emil & Ida from Lønneberg“, „Pettersson & Findus“ and „Postman Pat“. In 2015, they released „Paddington“, „Shaun the Sheep“, „Song of the Sea“ & “Asterix”. The third nominee, La Belle Company, is a Paris-­‐based company, which is among the top 20 French distributors. They distributed with great success „Maya the Bee“ and they are currently distributing „Loving Vincent“ (presented at Cartoon Movie 2016). Germany/Luxembourg/Belgium/Ireland’s Ulysses Filmproduktion, Fabrique d’images, Grid Animation & Moetion Films for „Ooops! 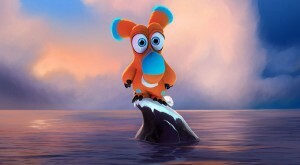 Noah is gone…“, worldwide sales and always available on the big screen with nearly 521,000 admissions in France ; and France’s Ankama Animations for „Dofus – Book 1: Julith“. film producers, investors, distributors, sales agents, video game companies and new mediaplayers from 40 countries Europe and beyond will come in Lyon that will become the European capital of animation film. The 18th edition of Cartoon Movie is organised with the support of Creative Europe -­‐ MEDIA, CNC (Centre national du cinéma et de l’image animée), Auvergne-­‐Rhône-­‐Alpes Region, Greater Lyon Metropole and in collaboration with the Imaginove cluster (Lyon). 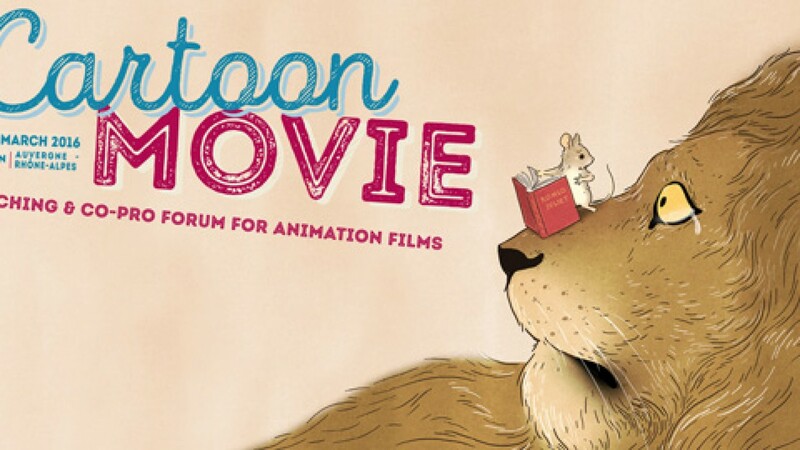 Since 1999, over 257 films pitched at Cartoon Movie, with a total budget of 1.8 billion Euros, have secured their financing and have been released thanks to this annual forum aimed at strengthening the production and distribution of animated feature films in Europe.